When you arrive in front of the hotel 1K Boulevard du Temple, it is hard to imagine an underground bar behind the chic storefront. A “Mezcaleria” pronounced with a Spanish and cheeky accent is our sesame. A young woman with a knowing smile accompanies us within the kitchen to finally end in a small room with an amazing decoration. A huge cross is suspended from the ceiling, only a few neon lights are on. Two wooden mannequins with a skull dominated by a large hat are watching us from two corners of the place. A theater is filled with figures straight out from a Mexican “Nightmare Before Christmas”. Behind the bar, it’s going crazy ! Mezcal, which is a brandy agave, flows. 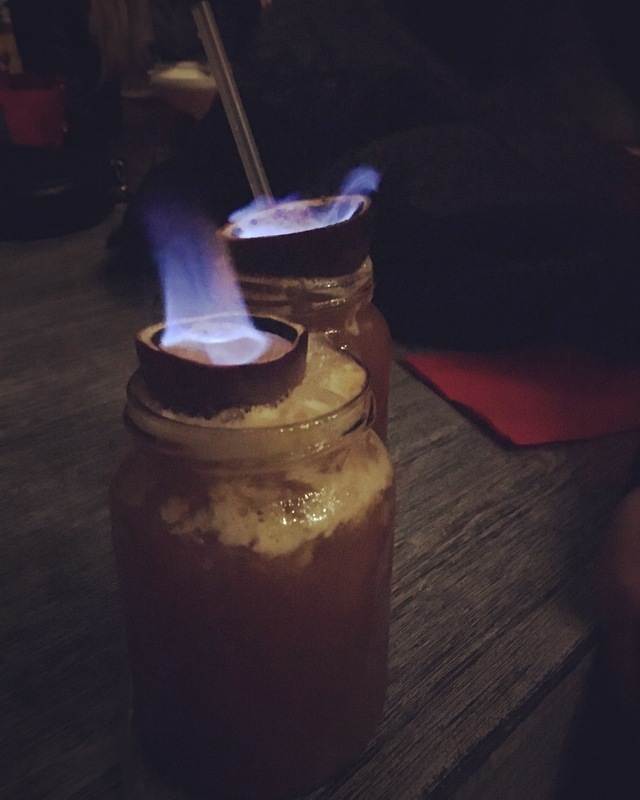 Our Mexi Zombies finally arrive : on top of a small glass jar filled with the famous beverage is placed a shell of passion fruit in which alcohol is blazing. 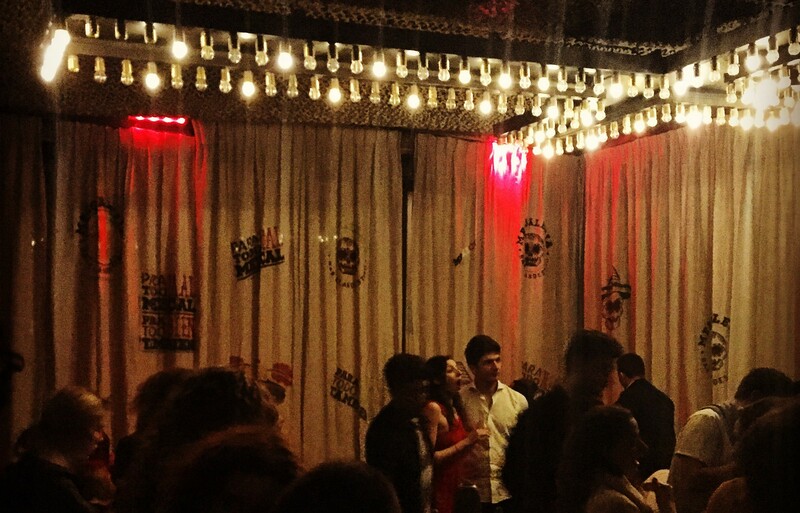 Get caught with alcoholic and musical frangrances of this clandestine bar … which is actually not that much !